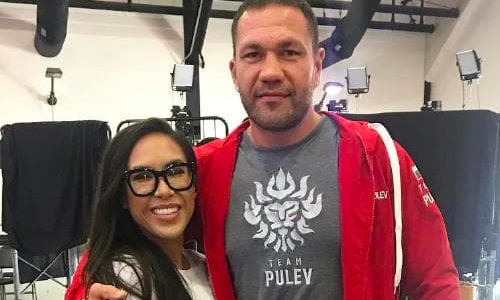 Last week, Kubrat Pulev was heavily criticized for forcibly kissing female reporter Jenny Sushe on the mouth during a post-fight interview. The reporter, who works for Vegas Sports Daily, has gone on to reveal that wasn’t the only thing that Pulev did to her without her consent. “He grabbed both of my buttocks, and squeezed with both his hands,” she said. “It made me feel uncomfortable and frustrated that Kubrat Pulev would treat me in such an unprofessional manner. Consequently, Ms. Sushe has decided to get Pulev’s boxing license suspended as she’s hired American attorney Gloria Allred. This comes after the Bulgarian boxer took to Twitter to play down the incident, saying the duo has been ‘friends’ and that they laughed off the incident during the after-party. Ms. Sushe, however, has claimed she was just there to interview more players. “At after-party, he asked me to remove the kiss from the interview. I didn’t remove it, and instead I posted it. I didn’t want him to get away with it.